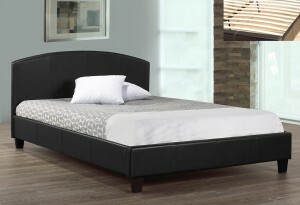 2350 PLATFORM BED FROM $199.00 AVAILABLE IN WHITE OR BLACK !! Our classic slightly curved-panel platform bed is fully covered in beautiful leatherette for a sleek, modern style. 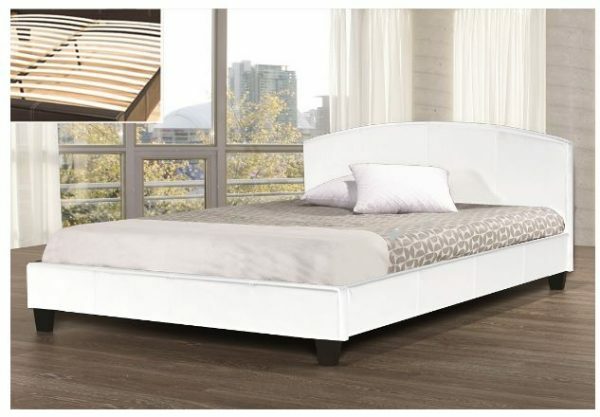 Available in a choice of black, or clean white.